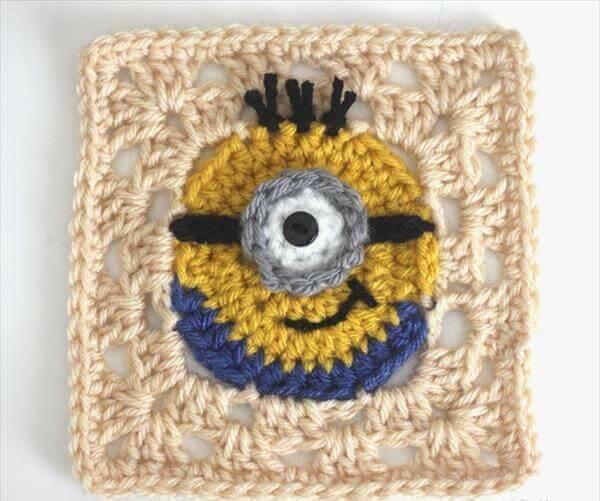 Crocheting and knitting are great forms of art and everybody has his own unique skills in these fab art forms! 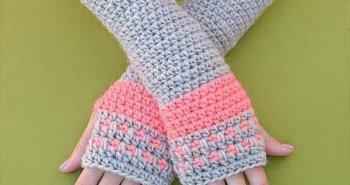 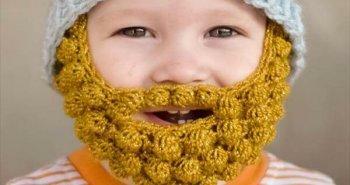 A plenty of people are obsessed of crocheting and also desperate for knitting things with their own hands! 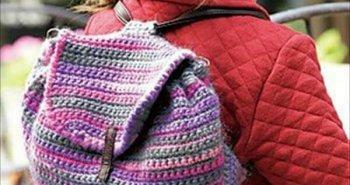 Not only the winter wear, various types of decors and art pieces can also be crocheted going with your own choice of yarn colors! 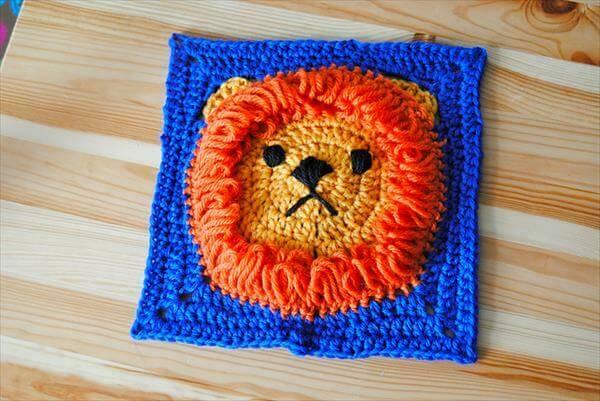 This time we’ll speak for some gift-worthy items that can easily be made through crocheting medium just like these 10 DIY free crochet granny square patterns that just imitate different kids-friendly cartoon and animal shapes! 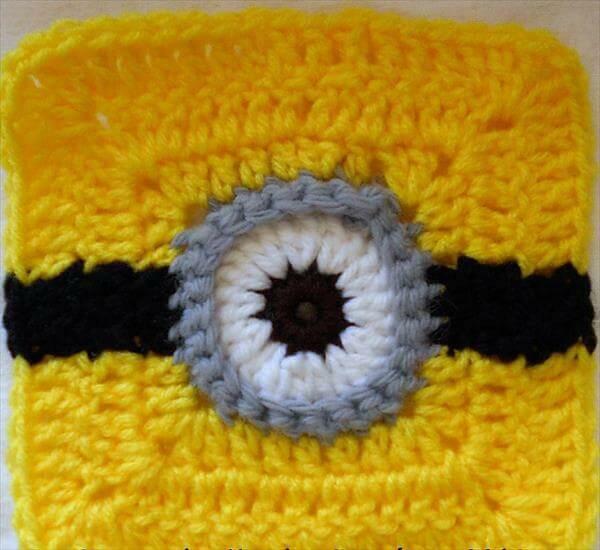 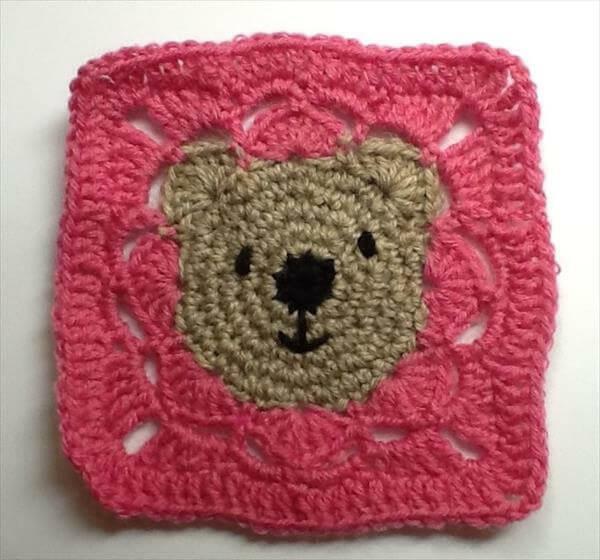 If you are grand-mom and also having master hands in crocheting then crochet this worthy crochet square gifts to express your love for your sweet little grandsons and granddaughters! 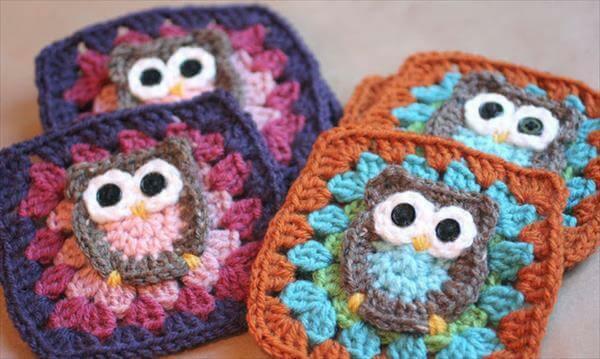 These ideas just also speak for various color schemes you can choose from while crocheting a specific pattern! 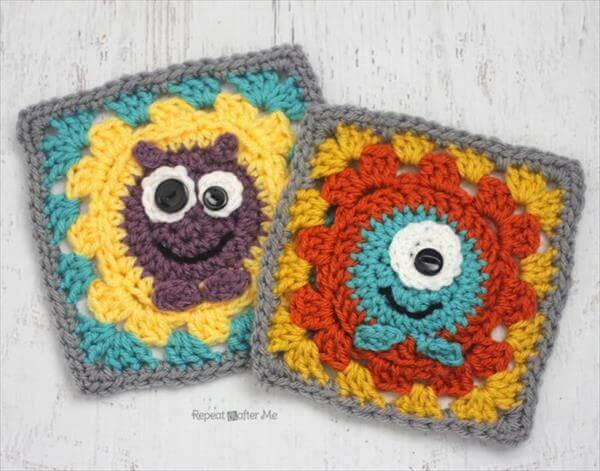 These little crochet squares have plenty of uses and suggestions and can create a stimulating look of one’s dwelling in plenty of ways! 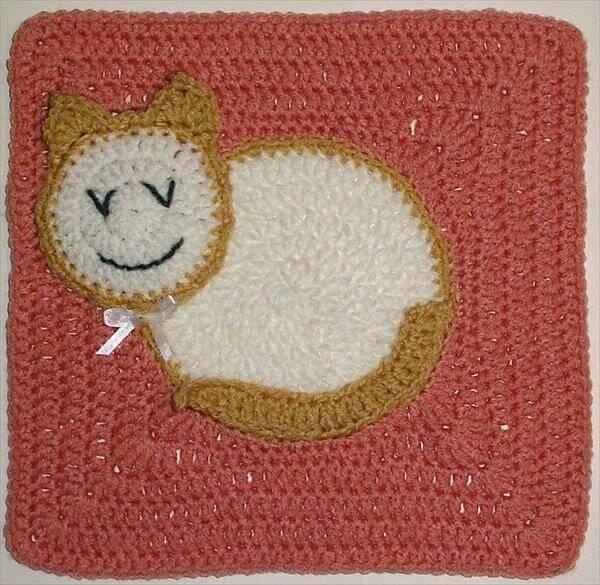 One can use these squares as eye-catching baby buntings for baby showers, birthdays and for food parties! 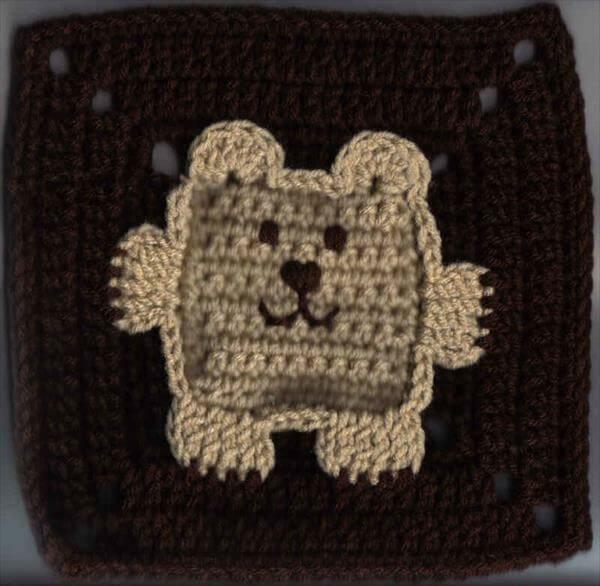 You can combine a bunch of these squares to build visually attractive Afghans and blankets which would also be comfy at the same time! 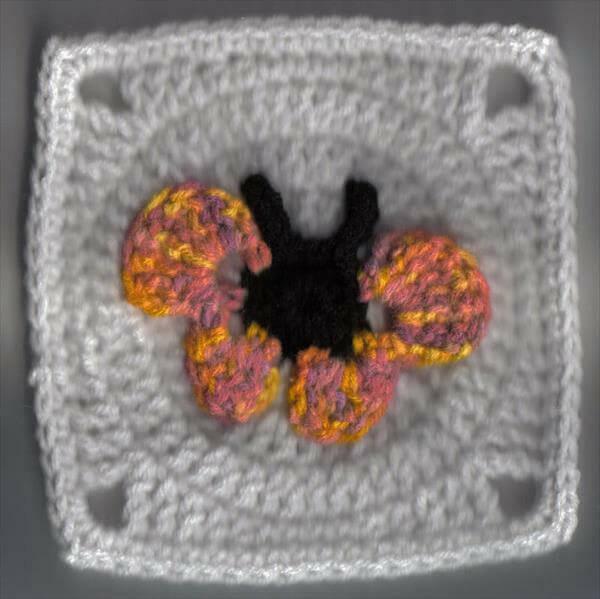 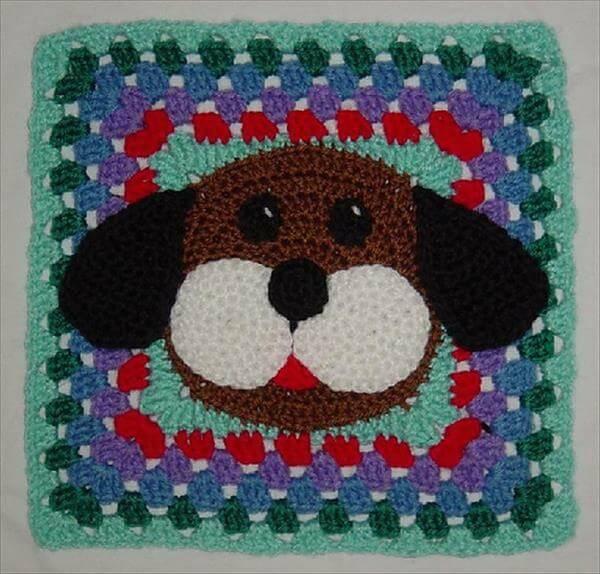 All unique crochet squares have been provided with full patterns here and one visit the pattern links to meet the respective owner of the pattern and also to get the full pattern for that exclusive crochet item!